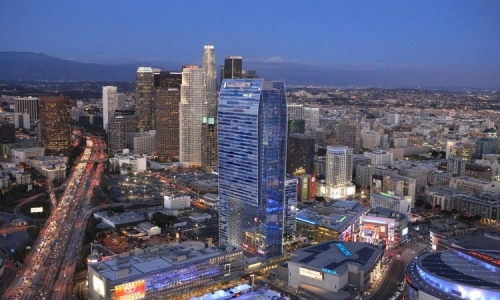 This 54-story high-rise is located in the heart of the entertainment capital of the world. 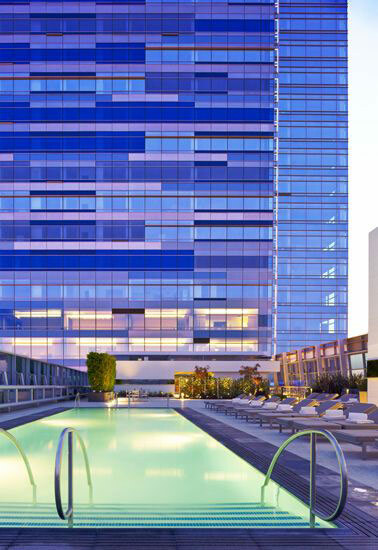 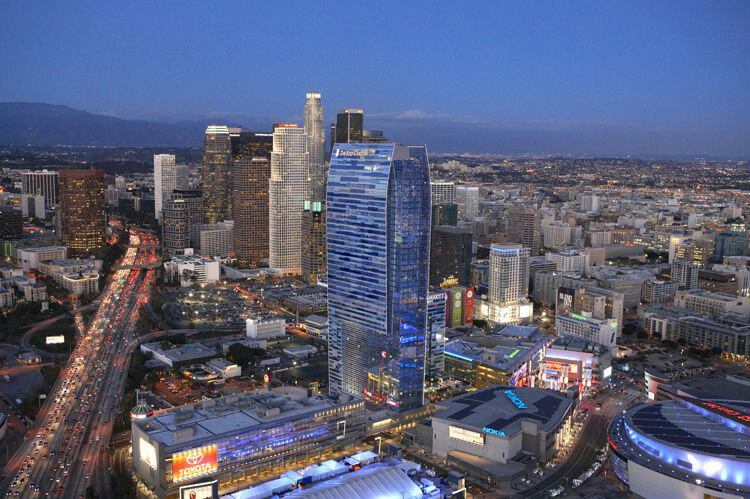 The Design/Build project in the 26 acre LA LIVE mixed-use entertainment district included 878 hotel rooms, 123 luxury hotel rooms, and 224 condominium residences. 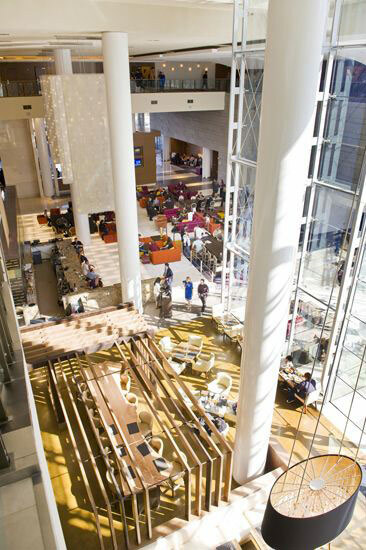 The building has 100,000 square feet of meeting/event, ballroom and amenity space, with the capability of serving 3,000 seated guests. 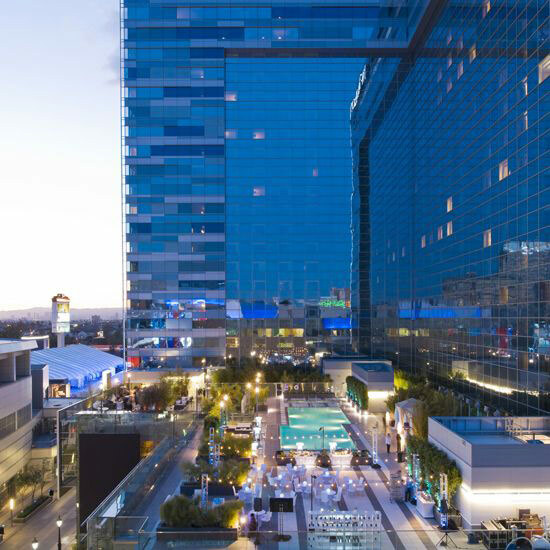 The hotel serves as the headquarter hotel for the Los Angeles Convention Center.